FindItMore | Is your WordPress site experiencing a slow response time? Research suggests that this could affect overall customer satisfaction and greatly reduce the traffic to your site! Page load speed has also been taken up by Google rankings, and it could affect the rating of your site. 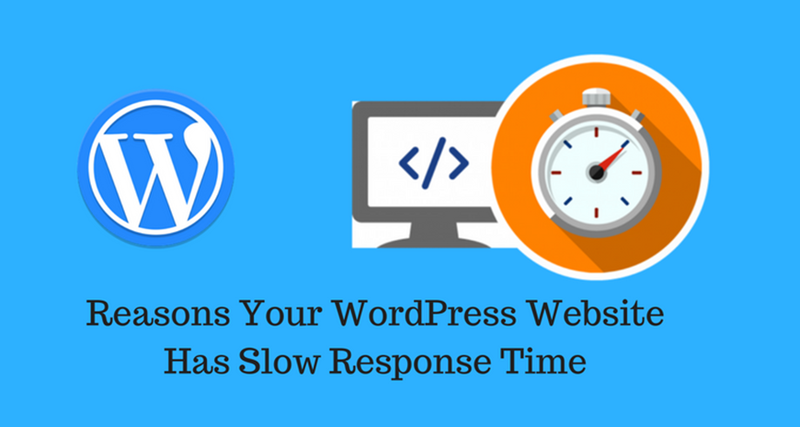 Here are a few reasons why your WordPress site could have a slow response time. Hosting contributes to overall performance of your WordPress site in a large way. Your host could determine the performance of your site, as well as your SEO ranking. There are different types of hosting available. Unlimited hosting is popular among new users, but is not advisable for sites with large traffic. This type of hosting is usually done on the same server for a large number of clients, with a shared IP address. While it is a budget friendly option, it could cause slow response for sites with large traffic. Your site may also be negatively affected by bad SEO rankings for other sites under the same host. Premium hosting is a more expensive alternative to unlimited hosting. However, it is better for sites with a large traffic. Since the servers are not shared, the requests are responded to quickly, improving the performance of the site and raising customer satisfaction. You may also consider hosting your own site through do-it-yourself hosting, but this requires some technical skill. It is ideal to have servers near or within your target region.This makes the relay of information very quick. Servers which are further off will relay information slower to the user, which might mean slower page load times. The internet is accessible to most countries in the world. If your content is global, it could attract traffic from all over the globe. It will be difficult to have servers placed all over the world, which means some users could experience slow responses. In this case, you could use a content delivery network to overcome the challenge. A CDN will place copies of text, images, videos and other scripts on different servers around the world, which then makes them easier to access. Themes can attract users to your WordPress site. They are customized and are designed to help create a specific aesthetic, while improving user experience. There are a number of free themes available, as well as premium options. There are good themes for either choice, which could help drive traffic to your site. Some themes are loaded with unnecessary features and code that affect the performance of the site. They are bulky, and may increase average page load time. You should choose an efficient and minimalist theme that does not affect the response time, with customization options available for a personal touch. As your site’s administrator, you are required to handle all updates. The constant notifications can be difficult or annoying to handle. Often, you will be tempted to neglect these updates altogether. The general consensus among WordPress experts is that too many plugins can reduce the ability of your WordPress site to function effectively. They will reduce the overall load time and affect the outlay. Some plugins may even be redundant and unnecessary. You should manage you plugins and do away with all which you do not use. This move will allow you to consider the role of each of the remaining plugins, which can then be replaced with lighter and better functioning options. You should not prioritize these tools for their range of functions over a quickly loading page. Since the plugins provide additional features to your site, they might remain irrelevant if the load times affect overall traffic. Image optimization can help reduce the overall load time for your WordPress site. Images carry a great part of the total size of a site. The more images a site has, the more likely that it will take a long time to load. Image optimization reduces the size of images by compressing the images used. This reduces the total size of the page, without affecting the presentation. Failure to optimize images is one of the major causes of a slow response time. While many sites use images to enhance the appearance, only through optimization of these images can the site load performance be improved. This may be done manually, but is best achieved through batch optimization plugins and other online tools. You can also use Lazyload to reduce the number of images loaded with every click. With Lazyload, the site will only fully display images that are within the user’s field of view. Images outside this scope will not load until the user visits the particular region. This reduces the size of the site on display. The code used might inadvertently cause your page to load slower than it could. Certain scripts, such as the composite of external widgets for different social media applications, will need to be executed before the page loads. When the site’s link is clicked, the browser takes time to execute these scripts before it loads the page. This may result in the browser loading the page several times while executing these scripts in order to finally load the page. Fixing render-blocking java script may require some coding on your part. If you are unable to do this, there are a number of WordPress speed optimization services that can help. Consider service providers such as WPfixs for a smooth loading site, which will guarantee customer satisfaction. These tips will help you identify the problem and improve the performance of your WordPress site. By increasing the relay speed, you will not be prone to losing potential clients. For some of these tips, you may need to consider replacing your current plugins with more efficient options. If you are unable to carry out the more technical aspects of these changes, you should consider hiring a WordPress speed optimization company to help improve the performance of your site.